To my surprise, that never happened. Finally, I saw that I was going about things the wrong way. Complaining, blaming, and shaming were simply not an effective strategy for creating more love and harmony with my wife. Duh! Once I realized this, I went in search of what really did create more love and harmony. Fortunately, several great strategies—backed by actual research—helped show me what could work. So why do so many couples continue to use the “blame and shame game” to try to get their mate to change? Because they don’t know of another alternative. In this culture, that’s what we’ve learned. Fortunately, there are three simple methods that can help you overcome blame and shame and get back to the love and connection you really desire. A positive intention is the ultimate positive reason your partner is pursuing a certain behavior. For example, if your partner complains a lot, you probably don’t like that behavior. However, you can tune into the positive intention motivating it. The positive reason someone complains may be a desire for more comfort or pleasure, or to feel better. Those are all fine things to want. The problem is that your partner’s strategy for obtaining them may be counterproductive in the long term. Trying to figure out what your partner ultimately wants from his or her “irritating” actions can be a major step in establishing empathy. As I started to understand my wife’s positive intention for behavior that irritated me, I was better able to respond with love and kindness. If you can imagine your partner’s positive intention, it will help you let go of judgment and allow you to be more accepting. Such acceptance is often the first step in helping your partner find a more effective method for achieving what he or she really wants. Knowing your partner’s positive intention is a great way to let go of blame and shame, but so is knowing your own positive intention. What are you really after by trying to blame, shame, or change your partner? In other words, if your partner changed in all the ways you wanted them to, what would you have that you don’t have now? Usually, we are ultimately trying to experience a different feeling with our lover, such as more love, safety, trust, intimacy, or belonging. Unfortunately, blaming and shaming one’s partner never leads to the feelings we really want. Therefore, it’s a good idea to come up with a new strategy for getting what you really want. Ask yourself, “What is a new way I can interact with my partner that is likely to lead to the feelings I truly desire?” Try to answer this question as specifically as you can. When I asked myself this question, the answers were painfully obvious. The simple act of refraining from blaming and shaming my wife was an obvious good start. Then as I thought about it more, I realized that if I wanted safety, love, and acceptance, that’s what I had to give to my wife. Asking yourself, “How can I interact with my partner in a way that will lead to the feelings I desire?” is a good start. Of course, there is no single right answer to that question, yet if you ponder it for a bit, some answers will likely emerge. For example, you might realize that if you do small acts of kindness for your partner, or frequently say what you appreciate about him or her, it could lead to more intimacy, safety, or trust. Just the simple act of no longer blaming and shaming your partner is likely to lead to a positive change in the relationship. Yet, there are many other ways to create the connection you desire—as long as you focus on what you ultimately want and are willing to let go of old, unproductive habits. A final approach to overcoming the blame and shame game is to be able to quickly let go of the judgments we have about our partner. When we judge our partners, we express a belief that they shouldn’t be the way they are. I confess that sometimes I get judgmental about my wife’s behavior. Occasionally, I see that her strategy for satisfying her desires is ineffective, or even opposed to her ultimate goal. Then, I fall into a feeling of self-righteousness and superiority. The words “just like me” are a very effective antidote to the blame and shame game. After all, I often behave in ways that don’t lead to the intimacy I desire, so when I see this behavior in others, it invokes a feeling of compassion. We’re all human, and we all let our past conditioning influence our actions in detrimental ways from time to time. When you see something you don’t like in your mate and you want to let go of your judgments quickly, try thinking the words “just like me,” and notice how it makes you feel. For me, it often brings up a feeling of compassion—or, at the very least, it helps me to let go of my judgments quickly. Blaming and shaming are like a cancer in a relationship. If they are allowed to live and spread, the entire relationship can slowly wither away and die. By focusing on the three ideas presented here, a whole new way of dealing with the inevitable frustrations in a partnership can be born. Yet, it takes practice. Due to no fault of our own, we’ve been taught to blame and shame each other despite the fact that such behaviors don’t get us what we want. In this culture, that’s what we’ve learned. 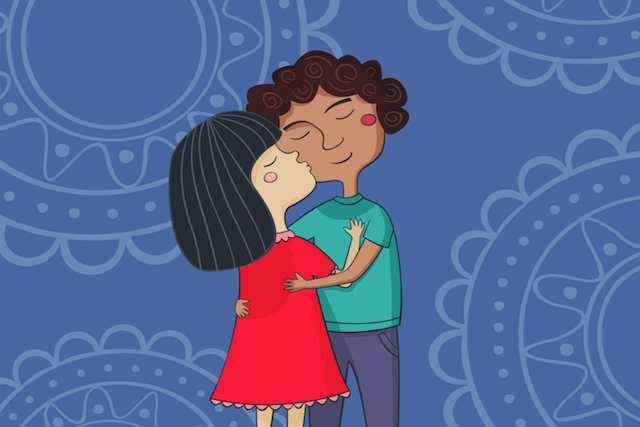 Fortunately, there are three simple methods that can help couples overcome blame and shame and get back to the love and connection they really desire. Once you learn the key ways to get past blame and shame, your partner will likely reward you with a lot more love and a lot less conflict. Jonathan Robinson is a psychotherapist, the author of More Love, Less Conflict, and has been a frequent guest on Oprah. You can download free methods and info at MoreLoveLessConflict.com. Does your relationship need some inspiration, some romance ? Do you feel like your relationship is in a rut? If so, reach out directly to any one of our talented advisors and get the insight you need to ensure a better tomorrow, today.